A lot of photos from this day exist in beautiful full-color. But some of the March ’59 pics are ‘only’ in black and white. And regretfully, these pics have been copied and cropped so often over the years, one really wonders how incredible the original full-color pics must have looked like! Maybe not all photos were actually shot in color? And how about any indoor-shots? 19 different photos are presented in this topic. But do more exist? Probably. Due to the fact that both RCA and Elvis’ management used the ‘production’ of this day for various official releases/occasions, one would assume the shoot would have been well-documented. But this is not the case. The photographer and the exact date of the shoot are unknown. Even though photo-shoots were quite uncommon during the army-years, not much is known about these unique photos. I have taken the best possible photos and collected them in this topic. But if you feel you can add more info or pics of better quality, PLEASE do so! Danke schön. Let’s start our tour of Bad Nauheim with it’s most famous Elvis-location: the Burgpforte. Here we have Elvis posing in front of the arch, with his back against the wall, and looking straight ahead. In the background we see a woman walking towards the arch. A couple is approaching her. A few seconds later. The woman has passed the couple, and Elvis is now looking into the camera. Once again, a few moments later. Elvis in about the same postion, but this time there are no people in the background. A slightly different pose, with his shoulder now leaning against the wall. Underneath the arch we can see some (different) people who are about to cross the street. 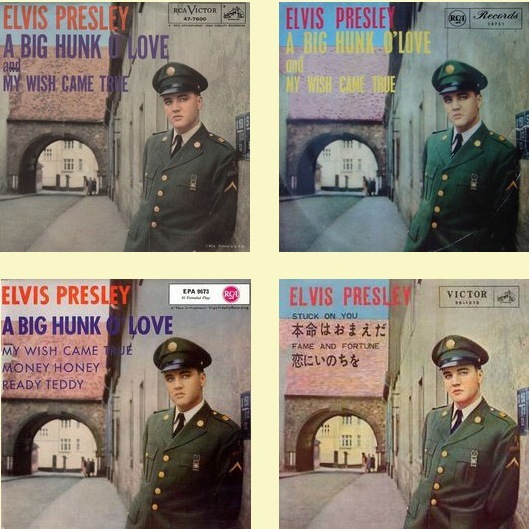 This of course, is the famous photo that was used for the cover of the A Big Hunk O’ Love single (in the USA and Australia) and EP (from Germany). It was also used by RCA Japan as the cover for their Stuck On You single release. Only moments later. The three people have nearly crossed the street, and Elvis is now looking up. 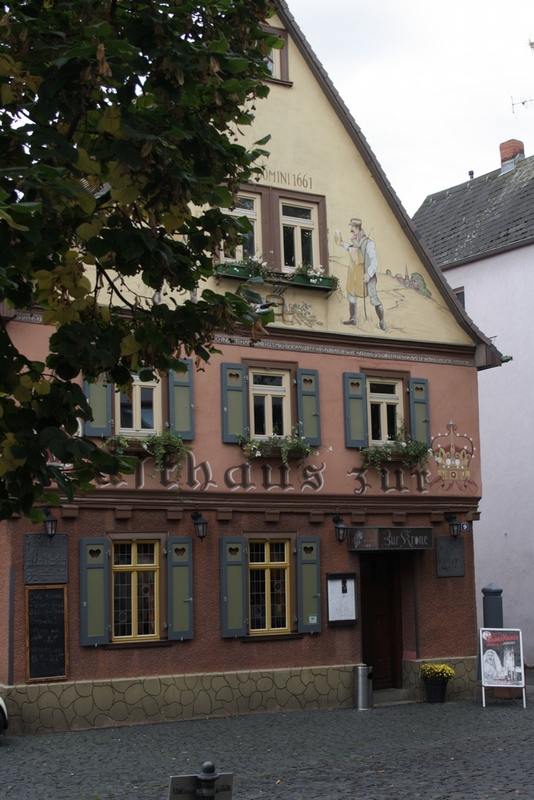 Just around the corner of the Burgpforte, in the Burgstrasse, is the restaurant (Gasthaus Zur Krone) that Elvis is passing here. Elvis is walking in the direction of the Borgforte, so one can assume this photo was taken a bit earlier. The restaurant is still in the exact same style as it was in 1959. The photo below was taken during my visit to Bad Nauheim in september 2012. These photos were taken in front of the church, the Dankeskirche. In this photo Elvis appears to be looking at a different photographer. Take a look at the ’59 Christmas card (below), in the shot with the horses Elvis is again looking in a different direction. From the same location, in front of the church: the Lord is my German Shepherd. In nearly all of the March ’59 pictures, Bad Nauheim seems to be quite deserted. However, in this pic (and also on the first bridge) we can see a small ‘audience’. Bad Nauheim was a quiet and tiny town when Elvis lived there. But the lack of people, as well as the well-dressed locals that can be seen in the pictures, fuel the thought that the day of the shoot could have been a sundaymorning. Vernon Presley is standing next to his son. 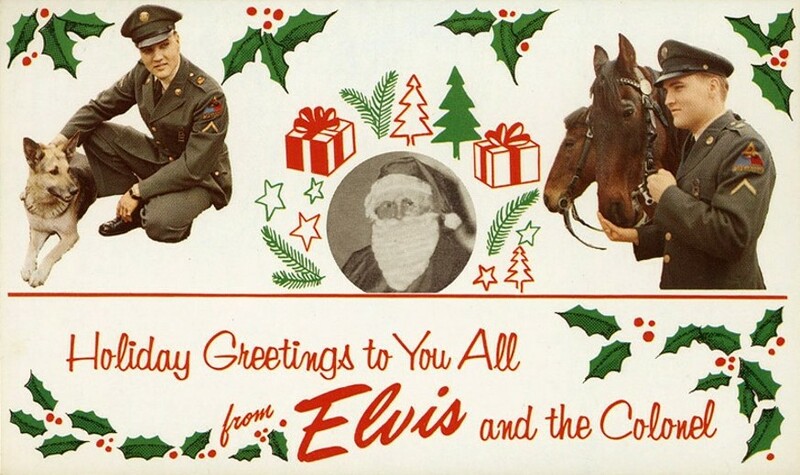 The Christmas card that was sent out in 1959 on behalf of The Colonel and Elvis. It’s interesting to notice that the two pics used for this card both show Elvis in a slightly different pose compared to the ones posted in this article. 47 years later (in 2006) EPE revived the ’59 Christmas spirit by sending out that year’s wishes in the same style. The back- and frontcover of the CD Holly Leaves And Christmas Trees are shown here. Elvis on the first of two bridges he posed on that day. In the backgorund we can see the ‘first bridge’. This is the same photo, in a lesser quality, but also less heavily cropped. The excellent Greetings From Germany bootleg (another release on the Vik label) caused quite an uproar when it was released in 1998. As noted, some of the pics in this article were scanned from these wonderful books. The picture with Elvis, Vernon and some guy with a German Shepherd is new to me!! Thanks! I wonder if there are any more pictures from this date. Strange there is not more known about the exact date or protographer. Went there on a German tour 6 years back, local tourist office was very helpful, bought the tasty Date With Elvis book from them. Recreated the 45 sleeve pic, info on wall at spot and yes sadly we sang Frankfurt Special on the train back there. Terrific! I was going to add that the lack of people indicated a Sunday shoot. But then I noticed that you’d suggested this already. Are there other photos from the various locations as they look today? Maybe I’ll do a follow-up with then-now pics. It might even include the little town of Idstein, not far from Nauheim, where some filming for GI Blues was done. Sounds great, Bob. I’ve got to get myself over to Bad Nauheim soon. 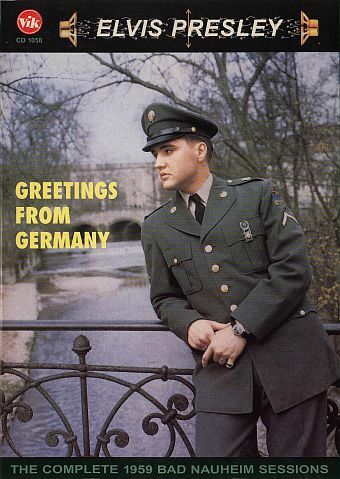 Hello, thanks for them great Elvis photos of Bad Nauhelm. I cant wait to go there on the 14 aug-19, it will be my frist time there. I am looking forward to Bad Nauheim. EXCELLENT research and photos. I wish Australia wasn’t quite so far away and I would be checking them out myself … One Day! BRILLIANT ! This site just gets better and better. Wonderful! Must pay Bad Nauheim a visit one day. job research and keep up the good work! of you & the kids on location in Bad Nauheim. You could present it as a genuine holiday scrapbook ! I love them then and now topics. Yessiree Bob! Good stuff never thought of going there and I am an Elvis fan since 1956. Over there in May 2014 so will have my photo taken there, long live the King! I have read that the photographer was Don Cravens. He had spent a month with Elvis in Bad Nauheim. That would be new to me. I’ve seen Cravens’ photographs of Elvis, but never in connection with the pics of this day in March 1959. What is your source for this, Jove? 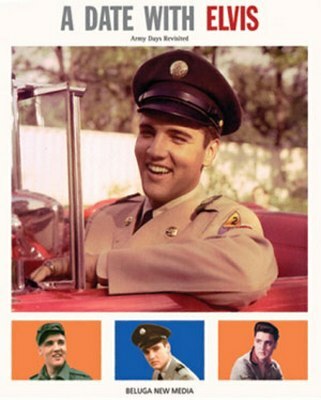 “(…) Cravens has another cache of pictures for which the market is unlikely to decline: color transparencies of Elvis Presley taken during the singer’s Army service in Germany in 1959. Cravens had met Presley’s manager, Col. Thomas A. Parker, in Nashville. (They are still friends.) Parker commissioned him to accompany Presley to Germany. I wish we still had 1959 and I was in Bad Nauheim. Thank you again, and again, Bob. Looks as if you have absolutely unique photos of Elvis here in Germany. The one with the restaurant “Zur Krone” is the one, I prefer. Do you have any idea, whether Elvis was in the “Zur Krone”? Are there any pictures or does anyone have information about this? One more information: My Mum saw Elvis in Deilinghofen, Germany (in the Area called Sauerland). He visited an army (CDN-USA Army Teams) icehockey game there. Do you have any information of that, or any picture? Does anyone has any pictures or information about this? Walking around Bad Nauheim today is a lot of fun, not only because it’s a lovely town but mostly because so little has changed since Elvis lived there. Elvis, the King then. And the king now. Although he didn’t like being called that! 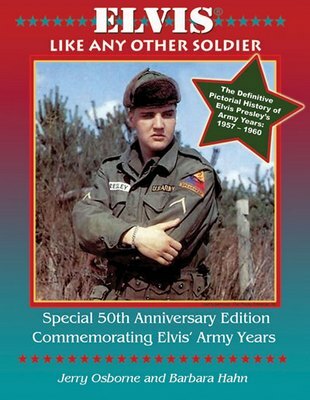 For a cd cover I need a photo Elvis in the army in Germany. Would love to see the places were Cilla lived when they met. Where she went to shool, etc. 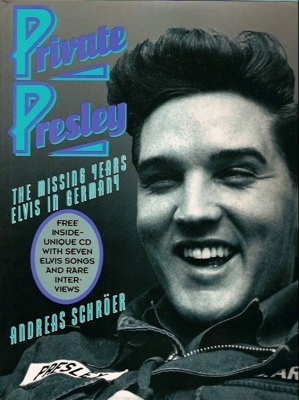 Great article and excellent research that gives us an insight to Elvis in Germany. Thank you. Feel better on each article, great job! I’ve been away from the web too long. As Ger said recently (which I agree with) there are some great photo’s but the research is superb……..
Once again fantastic photographs, but your detective work is outstanding Bob! How wonderful to see these photos and read your commentary. I have been an Elvis fan since 1956. Thank you so much for this excellent presentation. I love all the details about this day in the life of our Elvis! Thanks so much.